Here at Commercial Locksmith Portland OR we understand that security is a top priority when it comes to your business and properly protecting your assets. We are here to aid you in any of your security needs. Our technicians are fully trained and certified in all areas of commercial locksmithing. With many years of experience providing locksmith services in Portland OR, all services provided to commercial properties are in compliance with the fire marshal and state requirements. We are able to offer services to many types of commercial properties in Portland OR area such as office buildings, schools, apartment complexes, stores, and many others. We constantly keep in stock a wide range of commercial grade high security lock systems that would fit the needs of any type of business property. We offer locks from traditional grade type to the latest technology electronic keyless entry lock system. We only carry the top of the line products from the best lock brands in the business such as Medeco, Corbin Russwin and others. Electronic keyless entry lock system – As time changes, many business property owners constantly looking for new and advanced ways to keep their property secure. Nowadays, many commercial properties in the Portland area such as schools, churches, small businesses, and others are making the transition from the traditional lock system to an electronic keyless entry lock system. With such lock system implementation, you will not have to worry about lock rekey every time an employee loses the key or decides to leave. These types of situations may lead to keys falling into the wrong hands, or even employees that will attempt to access the property after business hours. We offer a large variety of keyless entry locks from the leading name brands in the industry that may come in different styles and include a wide range of features. 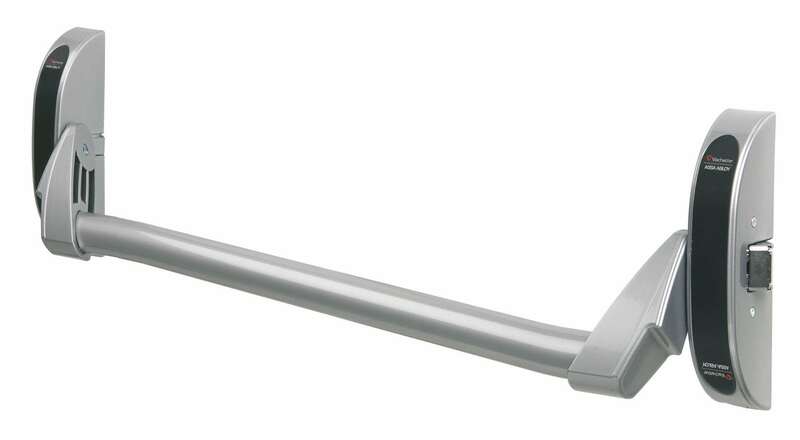 Pushbars / Panicbars / Exit Devices – In order to comply with fire codes and regulations which the state impose on commercial businesses, an exit device also known as pushbar and a panicbar, must be installed on doors dedicated for emergency exits. It will allow people inside the commercial property to exit the premises in case of an emergency without having to spend time on turning door knobs and/or unlocking door locks. However, due to the ease of accessing doors equipped with exit devices, it can bring security flaws if not installed and designed properly. 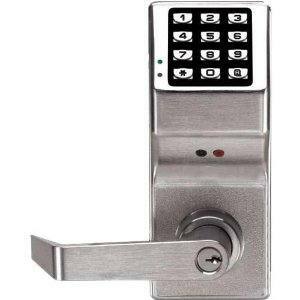 That is why it is always recommended consulting with a commercial locksmith in Portland OR regarding these types of devices. Our locksmith company can provide both repair and installation services for a wide range of exit devices. We only work with the leading name brands that provide high end commercial security and safety locking products to provide you with the peace of mind that you need when it comes to the security of your business property. The day only started and you are already locked out of your business property? Employees can’t get into the store because of a misplaced key? We are here to help even in emergency situations. Are you interested in having a lock change at your business property for better security? We would be able to help you with that as well. Among other commercial locksmith services we offer include master key system implementation along with a grand master key design as well, Do-Not-Duplicate keys, and more.